Try this GRE Sentence Equivalence problem! After the jump, you’ll see an explanation from one of our instructors. The theme song from the film Team America: World Police is meant as a parody, sending up the _________ slogans and anthems that have recently become a disconcertingly ubiquitous aspect of American life. Make your selections before reading any further! Today, we’re going to do another question from the Language Power passage (follow the link for the passage! ), and we’re going to analyze that question using the how to analyze a problem process. If you haven’t already read this passage (or if it has been a while since you read it), go take a look at the Language Power article first. Give yourself roughly 3 minutes to read through the passage and take notes (not much time! ), then read the rest of that article. Okay, finally, you can get started on this article! Below is the full text of the passage followed by the question (© ManhattanPrep). According to the passage, McGinty believes that ineffective communication can undermine which of the following power determinants? Now we’re going to analyze our work. I’ve reproduced the questions from the How To Analyze article below, but in a shorter form. I’ve followed the questions with italicized notes. These italics represent what I would think to myself when analyzing this problem. Note: I’m going to pretend that I chose answer choice D (so I got it wrong!). 1. Did I know WHAT they were trying to test? Questions: Was I able to categorize this question? Did I comprehend all the words, vocab, concepts, and answer choices? Do I know what I’m supposed to do for questions of this type? x and y are positive integers such that 3x y2 = 432. Read about the various elements of the graduate school application and learn how to construct your best application package. Your summer before grad school should not be an intense one. USA Today College has 15 things you should do to fill the time. 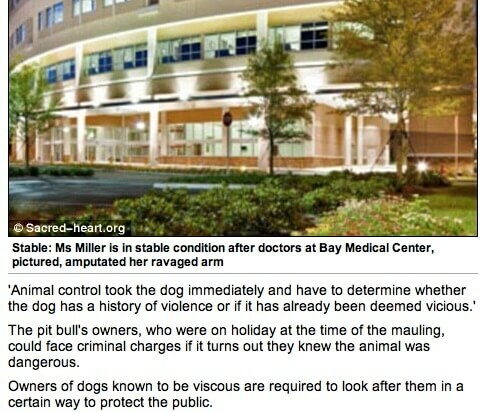 DailyMail Vocab Fail: That Pit Bull is “Viscous”! In the last line, it is “viscous.” NOT THE SAME WORD. Catch up on some grad school news and application tips with some of this weeks top articles. Happy reading! Find out why graduate program applications require admissions essays what the admissions committee considers when reading an applicant’s essay. The U.S. Supreme Court considers a study released by the Civil Rights Project at the University of California Los Angeles to determine whether colleges can consider race and ethnicity in admissions decisions. Today, we’re going to do another question from the Language Power passage that we reviewed in a previous article, and we’re going to analyze that question using the how to analyze a problem process. If you haven’t already read this passage (or if it has been a while since you read it), go take a look at the Language Power article first (linked in the first sentence of this paragraph). Give yourself roughly 3 minutes to read through the passage and take notes, then read the rest of that article. The third paragraph suggests that McGinty would be most likely to agree with which of the following? (A) Language from the center is more effective than language from the edge. (B) Managers who use language from the edge are not authoritative. (C) Powerful people are both authoritative and inclusive. (D) A person using both language from the center and language from the edge will develop true power. There is BIG NEWS in GRE-land! Late last week, ETS launched their POWERPREP II version 2.0 preparation software. We were anticipating that this software would drop in August, so the 3-week advance is a nice surprise. Unfortunately, the test still isn’t Mac compatible, but a number of other problems have been addressed. Version 2.0 includes two timed practice GREs (rather than just one as was the case with the old version), and can now be used on 64-bit Windows 7 machines. Most importantly, the software will now score your tests on the new 130-170 scale. The older version was still giving those wide score estimates based on the 200-800 scale, so this new software is a huge improvement for students in terms of estimating performance.